Audiophile Test Demo CD Volume 1. 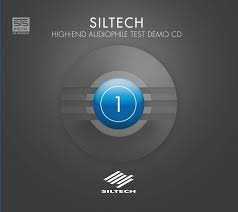 Siltech High End Audiophile Test CD. As the SACD market is now so small this disc is on CD replay only. Here is Volume 1 of a planned "series" of test discs, currently numbering 3 by STS Digital using their MW3 coding process. A good selection of beautifully re-mastered tracks, bringing out the natural musicality and dynamics of the music, as only STS Digital seem to know how.